As a followup to that article, I’m now posting a list of FREE resources that might be helpful in the management of these conditions. Please feel free to add your own free tools in the comments section below so we can all learn from one another! There’s a saying that goes something like, “If you hear something often enough, you will eventually believe it.” Well, that’s basically how positive affirmations work. I consider the late Louise Hay to be the pioneer of using affirmations for healing the mind and body. You can find her ground-breaking book, “You Can Heal Your Life,” at most libraries. There are also free affirmations on her website. There’s some evidence fibromyalgia is linked to a hyperactive stress response, so practices like diaphragmatic breathing may be helpful in calming the nervous system and managing overall symptoms. The Cleveland Clinic has a useful guide for learning diaphragmatic breathing here. Studies have shown walking or sitting barefoot outside – called earthing or grounding – helps to reduce stress, pain and inflammation, and improves sleep because it allows the body to connect with the Earth’s surface electrons. This documentary covers the many health benefits of earthing. Over the past couple of months, I’ve been experimenting with earthing to see if it makes a difference in my fibro/Lyme symptoms. I’ve noticed I tend to have more energy and am in a better mood on the days when I take a few minutes to sit outside and reconnect with the Earth. I’m sure the additional vitamin D from the sunshine is contributing to that feeling of wellbeing, too. Alright, I admit EFT is one of the more woo-woo items on the list. After all, how is tapping your fingers on your forehead and under your nose going to help anything? I understand the skepticism. I’m skeptical, too, but I have a few readers who are using EFT for symptom relief and swear by it. This link will get you started, and there are plenty of free EFT videos on YouTube, including those specific to fibromyalgia and Lyme. 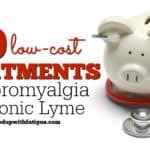 I’ve written a full article about CFIDS & Fibromyalgia Self Help’s low-cost fibromyalgia classes, but the organization also offers a free version covering symptom management, pacing, navigating relationships with chronic illness and helpful other topics. If you’re on municipal water, showers and baths aren’t technically free, but it’s pretty close. I’ve always found heat to be helpful in reducing overall achiness and soreness, and many others with chronic pain do, too. It’s amazing what a warm bath with some inexpensive Epsom salts can do. When you’re in pain and feeling miserable, it’s easy to sink into an emotional funk, but I’ve found fixating on the negative just makes me feel even worse. On really bad days, humor in the form of funny movies/TV shows, standup comedians or silly pet videos are a good distraction. Fibromyalgia and chronic Lyme both come with debilitating physical symptoms, but there’s also the mental and emotional impact of living with these conditions. Journaling helps to process those feelings in a safe way without the judgement of others. If you’re not into spilling your emotions on a page, it can still be helpful to keep a chronic illness journal to track symptoms, medication side effects, food reactions, bathroom habits and other information. This data can provide clues to guide future treatment. 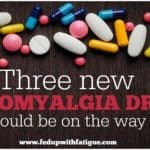 Pharmacist Abimbola Farinde has partnered with the National Fibromyalgia Association to answer medication questions for free. You can submit your questions here. Multiple studies have shown meditation is helpful for managing chronic pain and stress. There are many free apps available but one of my favorites is the Meaning of Life Experiment created by Ashok Gupta. His app includes beautiful, inspiring videos, as well as daily meditations of varying lengths. I also really like Kelly Howell’s guided meditations. Samples of her meditations are available on YouTube and through the Meditate.me app. One of my readers really likes Headspace, too. MBSR is a clinically proven meditative practice for the management of chronic pain developed by Dr. Jon Kabat-Zinn. Normally, the MBSR course costs more than $300, but this website offers an online version for free! Multiple studies have shown music therapy is beneficial for fibromyalgia. YouTube is a good source for free music therapy videos. No matter how bad I feel, my fur babies always make me feel better. A study in the journal Pain Medicine confirms animal-assisted therapy helps to relieve pain, stress and anxiety in persons with fibromyalgia. Owning a pet definitely isn’t free, but if you don’t have a companion animal of your own, I’m sure a neighbor, family member or your local animal shelter would be happy to volunteer their pets for some cuddles and wet kisses. For those who are struggling to pay for medications, the Partnership for Prescription Assistance connects patients to prescription assistance programs for free. PMR is effective for managing pain, insomnia and anxiety. YouTube is an excellent resource for free PMR videos. Dr. Bill Rawls recommends qigong and tai chi as gentle forms of exercise for those with fibromyalgia and Lyme. You can find plenty of free routines on YouTube. A lot of us avoid exercise because it can intensify our pain and other symptoms, but gentle stretching can be very helpful for relieving overall symptoms and improving mobility. My fibro friend Julie from Counting My Spoons has written a great post on the benefits of stretching. I also like this simple stretching routine from fibromyalgia specialist and fellow fibro warrior Dr. Ginevra Liptan. After my fibromyalgia diagnosis, I felt pretty isolated because none of my family or friends really understood what I was going through. During my darkest times, connecting with others through in-person and online support groups was a lifesaver for me. These kindred spirits didn’t mind if I whined about how bad I felt or shared the dumb thing I’d done because of brain fog. In addition to support, I also found valuable ideas for improving my symptoms. There are hundreds of fibromyalgia and Lyme support groups on Facebook – all of them free. 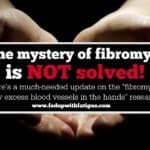 I also like MyFibroTeam.com for fibro and MDJunction.com for Lyme. Agh, I know exercise is a sore subject – literally! 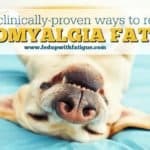 – but we’ve all read study after study after study after study (and then some) that says people with fibromyalgia feel better when they exercise. There’s no way I could leave yoga off the list. Yes, I know doing downward dogs and sun salutations can be downright painful, but yoga can be super gentle, too. For those with fibromyalgia and Lyme, I recommend Aroga Yoga’s YouTube channel. Kayla from Aroga Yoga has chronic fatigue, and has put together gentle yoga routines tailored for those with chronic illness. I really like this one. 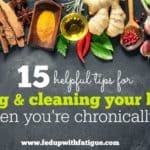 Now it’s your turn: What are your favorite FREE tools to help manage chronic illness? Please share in the comments below! thank you for your website and this list. extremely helpful. I’ll say this at the risk of being misunderstood: purposeful, quiet Christian prayer helps me manage my chronic disease. I forget to use it too often! I pray in solitude and with purpose. I text friends to let them know I have lifted their names in prayer. It doesn’t cost cash money. At first, they sort of rolled their eyes, but now they seem to look forward to it? It calms my worries. Sometimes, I’m just too tired to care about myself and others. That’s hard. My disease is in my lungs. So fatigue is a big deal with that. Wow ! This is great ! I saved a number of these on my Pinterest page to keep them in a safe and handy place. And so I can find them again. I really appreciate all this wonderful information. I help with a local support group in Facebook and share with members there. You have been a help to me and others. 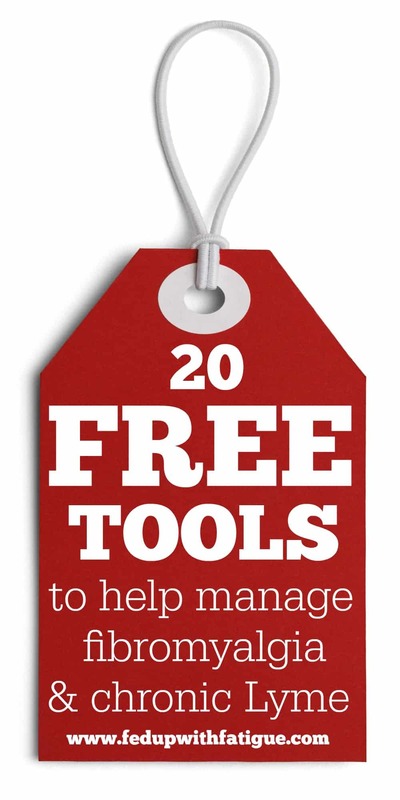 Glad you found the list of tools useful and I’m happy for you to share it w/ others! Thank you for helping your fellow warriors through the support group! Some useful ideas here. I had not heard of PMR and will google it. Donna, perhaps you would like to look at http://www.Tapping.com . This is a website created by my son for EFT. The way he explains it has nothing to do with woo woo. (He used to be a very sceptical computer scientist!!!) There are thirteen videos which are completely free and the first one tells you everything you really need to know about the points you need to tap and how to balance your inner mind and hemispheres. I use this method quite a lot to help cope with the frustration, sense of loss, and physical pain caused by having Fibromyalgia and it is useful for many other problems and feelings. It is there for you in the night and day (even in public) and it can surprise you with what comes out of your muscle memory into your mind. Most touchingly it has been used by Dr. Lori Leyden to help orphaned children in Ruanda. Whoops – tearing up! Will finish now. Love and healing to all whose lives are touched by fibro. I was actually going to list tapping since it was overlooked but saw your reply. I was introduced to tapping after my last visit to the emergency room for pain. One of the ER doctors told me about it. As I was laying on the bed I immediately researched tapping on YouTube. There is a plethora of videos. Mind you I did not watch them in full since I couldn’t concentrate but what I did apply during that visit actually helped. I did it for a few days after and honestly have forgotten about it. My pain has been through the roof and searching for absolutely anything since all of my medication is no longer working I remembered what the doctor said. I’m going to re- watch the videos and implement it. I strongly recommend everyone try tapping. It’s crazy how it works! Good luck and bless everyone for pain free healing! Real Plans.Com or Once a Month Meals.Com helps me with healty meal planinng, grocery list, and prep time lines. 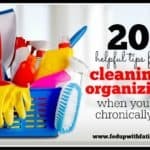 Simply Clean.Com helps with planning my cleaning chores….breaks down to do list in manageable chunks. Massage, counseling, short outings with friends, volunteering, researching my own info on ways to help myself, self compassion, singing bowl meditation, faith/prayer, started piano lessons and knitting/art lessons (relaxing), reading, church to name a few. Distraction is the best medicine. I find that aroma therapy and essential oils help. this is absolutely valuable! Thank you so much for this post the links the information..ive already checked into alot of it and will continue..I follow your posts daily and this one as well as others are saved in my laptop! I have struggled to find a dr..still do not have one,,hard in my area to even find a dr let alone one who knows anything! I have signed up at a local gym for the hot tub pool and yoga water exercises and read many articles but it is till very difficult to live like this and my spouse does not understand it at all, to the point of not even acknowledging it ..I am on my own!